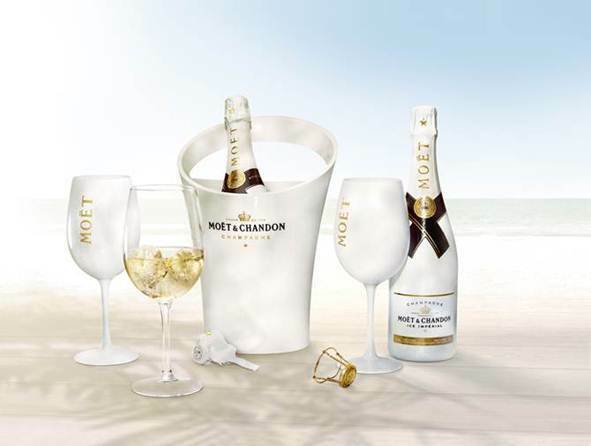 Moët Ice Impérial is the official Champagne of the Miami Heat playoffs. Now that we have the news out of the way, we can get to the good part – namely, the hilarious SB Nation post about it. The Heat are the greatest. Of course they do. Because life is great. Good stuff. BTW, I don’t like Moët Ice. It’s a blend of Chardonnay, Pinot Noir, and Pinot Meunier, but sweeter (higher dosage is the technical term) and you’re supposed to drink it on ice to let the flavors come out more. Usually flavors come out when wine is warmer, so not even sure how the ice would make that happen. It all just feels weird and wrong and I don’t even like it. And it’s $55! So many better bubbles to be had. 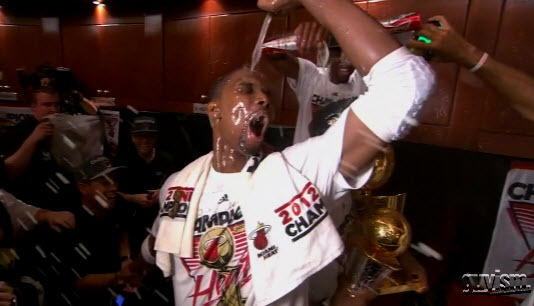 Tags: basketball, champagne, chardonnay, miami heat, moet, pinot meunier, pinot noir. Bookmark the permalink. well that pic was swiped from last year (no winner this year yet!) – and also, last year they had DOM so I bet they’re pretty bummed! Seriously?!? That’s e most retarded press release ever! Did Moët issue it? Apparently so! I especially like the “(image below! )” – very excited about images I guess!